Henley Schomp celebrated her 4th birthday in Henley this week. Her parents Jake and Michelle Schomp from Tampa in the US have given up their day jobs and decided to travel the world with Henley and her younger brother Jagger, aged 2. They still work on a few projects whilst they are travelling to keep some income coming in. 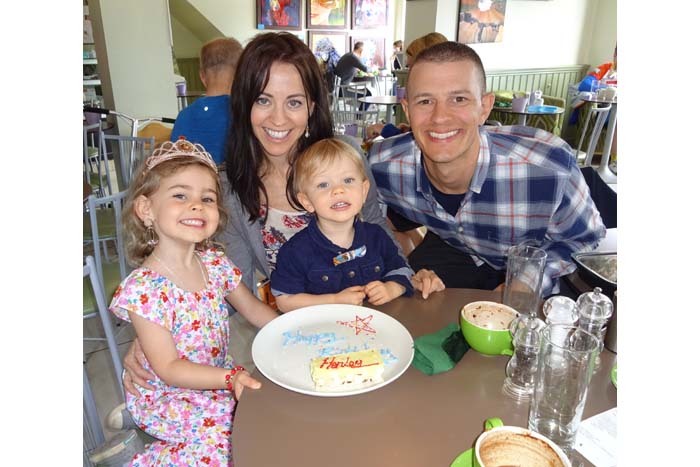 The Schomp family had a great day out in Henley, walking along the river front, shopping and meeting some friends who live in Southampton for brunch and a hot chocolate (Henley’s choice) at The Chocolate Café. The children enjoyed the playground at Mill Meadows too. 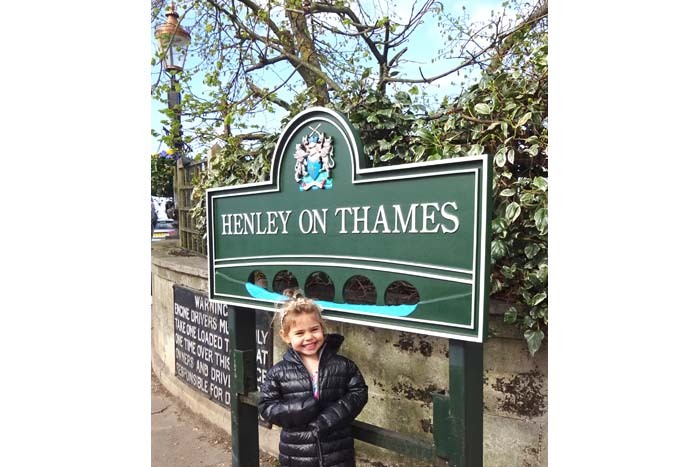 Henley loved all the references to her name – Henley train station, Henley Salon, Henley College and the golden H’s on the litter bins! The family are planning to spend a month in the UK, travelling through England, Wales and Scotland. “We loved the drive from Cardiff to Henley through all the picturesque English towns and roads,” commented Michelle. From the UK they plan to head to Denmark, Sweden, Norway and Portugal and then the itinerary is a bit open but they plan to spend the summer back in the US visiting family and friends. 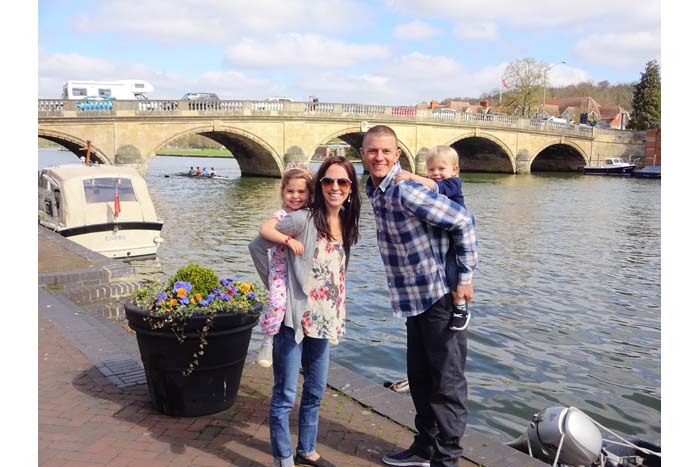 Henley was beyond excited to have celebrated her birthday in Henley-on-Thames. All her friends want to join her for her next birthday celebration in Henley. What a beautiful town!